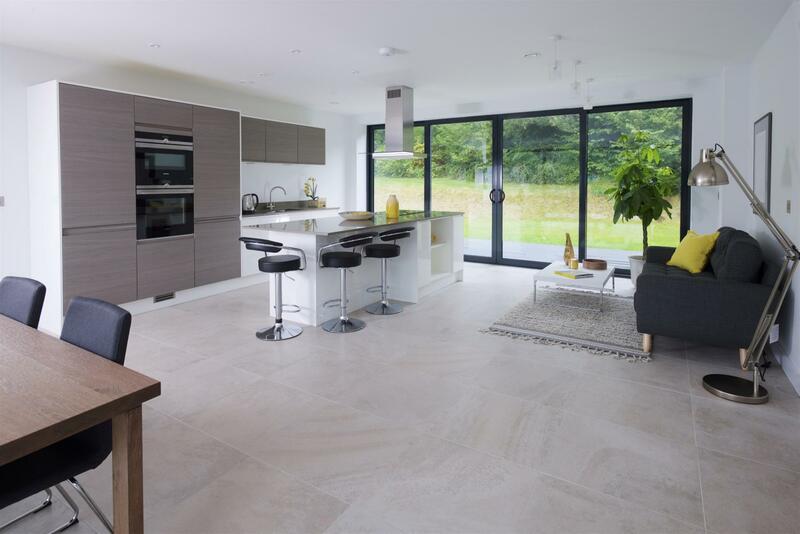 For this high end contemporary new home in Harmans Cross, Meridien Interiors designed a sleek and minimalist kitchen that has a warm and welcoming feel owing to the use of mixed materials and contrasting textures. Burbidge’s Isala Textured warm grey oak kitchen has been combined with Burbidge’s Malmo high gloss white range for visual impact. The linear look is enhanced with the J-handle doors which ensure uninterrupted lines. A tall wall of units in the grey oak finish comprises a full height pull-out larder, a Siemens integrated fridge/freezer, a Siemens IQ500 integrated oven and a separate Siemens combination microwave. A smooth white gloss surround encases and defines the tall bank of units and has been used in contrast for the adjacent base units that include the undermount sink and Siemens dishwasher. Continuing the contrasting theme, the wall units are in the warm grey oak finish and the plinth for the complete run is white gloss. 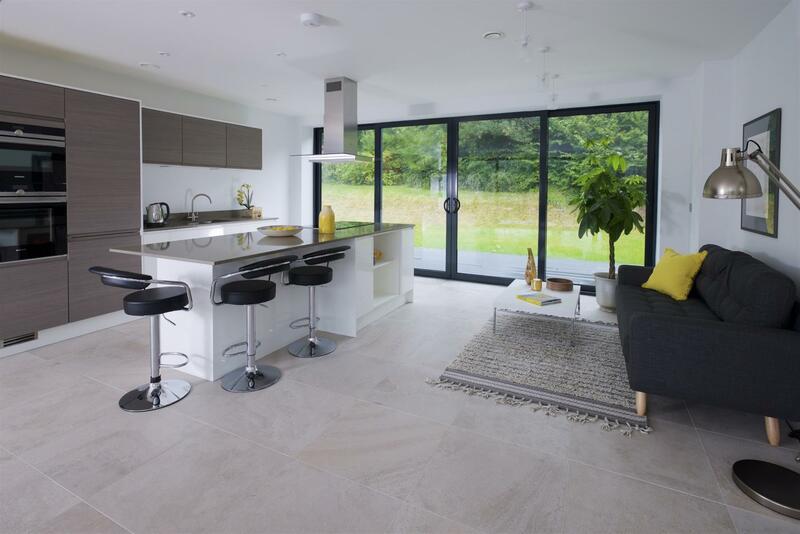 The Quartzforms worktop in Pebble Light Grey complements the overall colour scheme perfectly. The large 2.7 metre island in white gloss includes two wide pan drawer units with integrated cutlery drawers, an open shelf unit, a wine chiller, a Siemens IQ500 induction hob and an island extractor over. An L-shaped overhang allows for casual breakfast seating for four. Meridien Interiors works closely with architects, developers and private clients to provide luxury showhome quality kitchens at affordable prices. For further information about Meridien Interiors’ kitchens and bedrooms, please visit www.meridien-interiors.co.uk or call 01202 216688. Or call into the Meridien Interiors showroom at Unit 62, Azura Close, Woolsbridge Industrial Estate, Three Legged Cross, Wimborne, Dorset BH21 6SZ.